I see a lot of nut milk recipes. You can really get creative with your nuts. Like this cashew milk. Very different flavor than your normal nut milk. This nut milk reminds me of eating cinnamon oatmeal. One thing that is really great about nut milk is the soaking of the nuts not only gets your nuts nice and ready for nut milk but it also helps them break down. This is great for anyone who has trouble digesting nuts. Raw cashews are high in iron, copper, zinc and manganese. All of which leave you with a healthy, happy body. Everyone has their preference in how long to soak nuts for so do what you like the best. I usually soak mine for 24 hours or more and then use my favorite nut bag: Ellie’s Best. You can also enjoy this recipe with any of my delicious paleo dessert recipes. I have many to choose from! While you’re checking out this paleo recipe, be sure to also check out my latest giveaway where you’ll find Omazing paleo products for you to enjoy. You can really get creative with your nuts. Like this cashew milk. Very different flavor than your normal nut milk. This nut milk reminds me of eating cinnamon oatmeal. Raw cashews are high in iron, copper, zinc and manganese. All of which leave you with a healthy happy body. 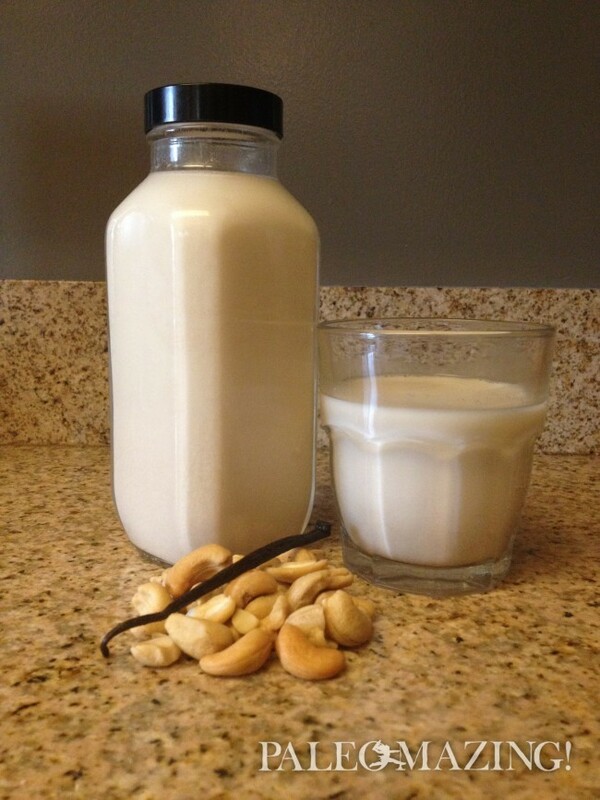 Soak cashews in filtered water for at least 2 hours. Add all ingredients to blender and blend for about 2 minutes until combined and cashews are fully blended.